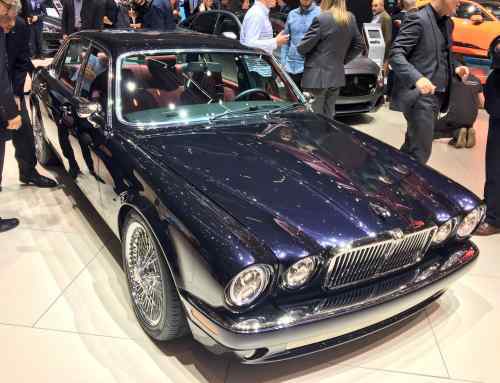 The largest crowd to date attended the latest Anglia Car Auctions classic sale, at which a 1964 Austin Healey 3000 sold for £39,220, an E39 BMW M5 fetched £24,910, and Honda UK paid £4,876 for a 1989 Honda Prelude. Here, we focus on the cars that smashed their pre-auction estimate, including a couple of lots in need of restoration. As one of the first ‘everyman’ classic auctions of the year, the ACA sale might set the tone for the year ahead. There are three Jensen FFs for sale on Car & Classic and eBay, with prices ranging from £90,000 to £135,000. It’s little wonder, then, that somebody was prepared to spend £43,460 on this 1968 example. It has been stored for well over 30 years, but shows just one registered keeper and a mere 45,799 miles on the clock. Even in this condition, we suspect there’s room for a healthy profit. Together with the Jensen, this Peugeot 504 Cabriolet is proof that a car that doesn’t need to be in concours condition to sell for an unexpectedly high price. In fairness, the pre-auction estimate might have been a tad low, but £11,872 is a meaty price for a car in need of light restoration. The 1972 example is described as being “abandoned”, having been dry-stored since 2009. After some recommissioning, it could be ready for the spring. A great deal of effort has gone into the two-year restoration of this 1980 Land Rover Series III, with the quality of work reflected in the sale price. New parts include doors, door pillars, footwells, tailgate, bonnet, seats, canvas, grille, front panel and tyres, along with rewired electrics. This 1949 Triumph Roadster is a bit before our time here at Retro MR, but the rate at which it smashed through its pre-auction estimate and on to a final sale price just shy of £25,000 is impressive. The Roadster is perhaps most famous for its role in the television detective series Bergerac, in which the car was driven by John Nettles. 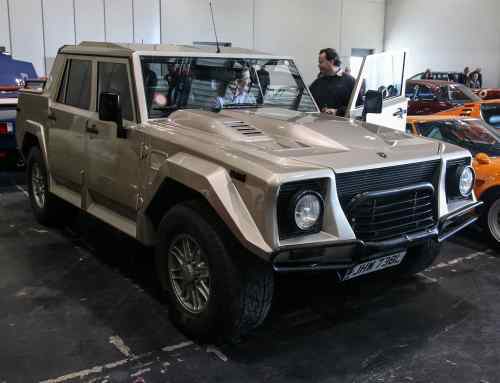 The actual car sold at auction for £23,000 in 2013. The Fiat 128 won the European Car of the Year award in 1970, trouncing the Autobianchi A112 and Renault 12 in the process. It was a hugely successful car, amassing 1.75 million sales in its first five years of production. 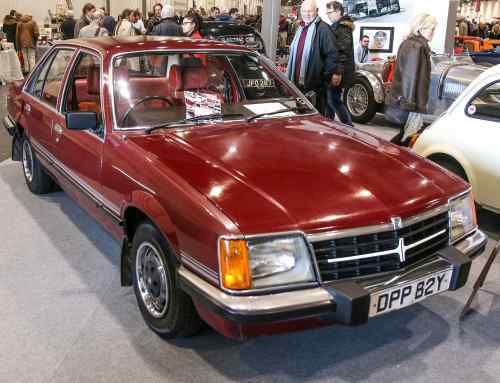 This 1979 example was owned by the same keeper from new until his death in 2010, and the mileage of 34,578 is believed to be genuine. We’ll be honest: we didn’t realise Alfa Romeo 147 GTAs were holding their value quite this well. On reflection, the pre-auction estimate appears to be very low, because there are three for sale on Auto Trader, with prices ranging from £9,495 to £17,965. You can understand the appeal: this is a lairy hot hatch with a 3.2-litre V6 engine developing what was, at the time, a crazy 250hp. This example benefits from the Q2 differential. 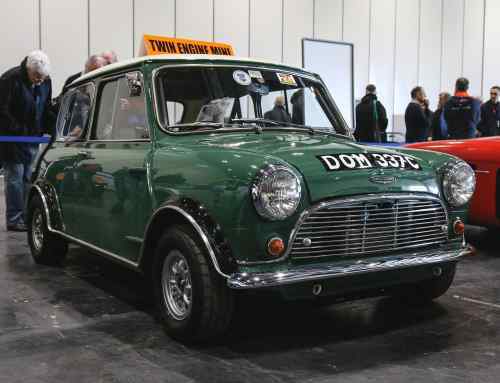 Our auction preview featured this 1979 Mini 1275GT, which had been owned by the same gentleman since 1980. Relatively unloved within classic circles for so long, the Mini Clubman and 1275GT are finally coming of age, as highlighted by the sale price for a car in need of light restoration. One of two Bentley T1s in the ACA sale, this 1973 example actually sold for a cheaper price than the 1968 car, but exceeded its estimate with ease. The T- Series was, as is obvious from the photo, a badge-engineered version of the Rolls-Royce Silver Shadow, which was actually sold for the same price. As a result, more people opted for the Roller, which means T1s are harder to find. In 1985, the 325i replaced the 323i as the most exciting model in the BMW 3 Series range, at least until the M3 arrived. It was quicker and more powerful than the 323i, with its 2.5-litre straight-six engine developing 14 percent more power and nine percent more torque. Other significant changes included a lowered suspension and a switch from mechanical fuel-injection to Bosch ME-Motronic. It’s a highly sought-after E30, which explains the sale price knocking on for £9,000. This supercharged V8 Ford F-150 Harley Davidson is one of five converted to right-hand drive and has been in the UK since 2004. The Harley Davidson edition dates back to 1999, when Ford forged a partnership with the motorcycle manufacturer. Bespoke paint jobs, special wheels and interior upgrades were the order of the day. The Sunbeam Alpine was a mainstay of the sports car market throughout the 1960s, offering look-at-me styling and an alternative to the rivals from MG and Triumph. It’s credited for being one of the first British open two-seaters to feature wind-up windows and was responsible for pioneering the idea of a detachable factory-fitted hardtop. The Nissan Figaro was one of four Pike cars dating from the late 80s and early 90s, so-called because they were designed to spearhead a new approach, embracing design and marketing from non-automotive industries. Underneath, it’s little more than a Nissan Micra, but owners love its cutesy styling and cheap running costs. The Figaro market remains buoyant, as highlighted by the sale price of this 133,000km example. Look at it: how could anybody not love the Riley Elf? At the time, this was one of the most expensive ways to buy a Mini, with its price tag reflective of its distinctive interior styling and interior upgrades. 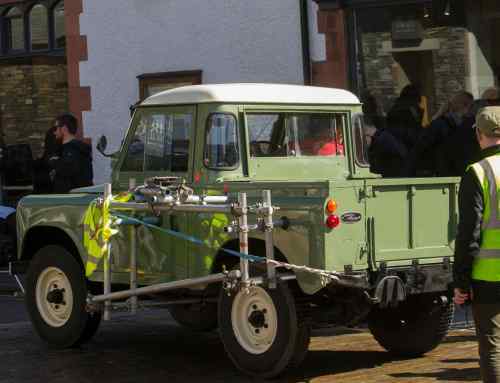 It also featured a large boot, complete with a carpeted floor panel covering the spare wheel and battery. We’ve deliberately steered clear of cars listed without a reserve, but we’ll make an exception for our final car from the Anglia Car Auctions sale. The Aston Martin DBS V8 arrived in 1969 – two years after the original DBS – and could boast a top speed of 160mph, making it the fastest four-seater production car in the world. This 1971 example has recently returned from Japan and is in need of restoration.